When it comes to Christmas ecards for business and picking the right one for your corporate communication you may find that it’s funny what can be washed on shore. Our Christmas Waves ecards are no different. 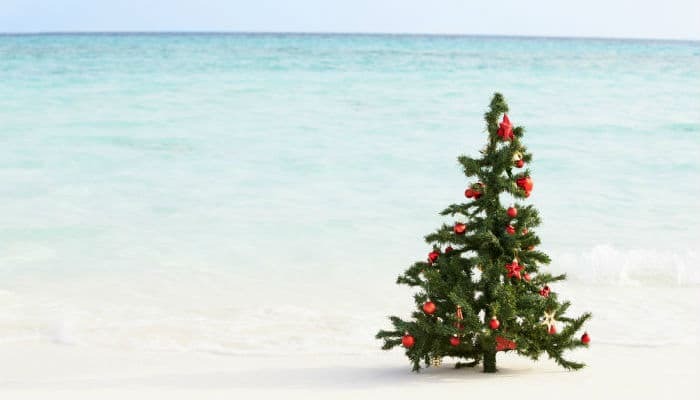 Featuring a traditionally decorated Christmas holiday tree amongst the beautiful crisp blue ocean waves, we really like the mixture of Christmas and glorious sunshine that this card effortlessly manages to achieve. A nod towards those that may not see Christmas as a winters tale, this would make a fantastic ecard to send out to your overseas customers who perhaps have a different view of the season. Or maybe you could decide to send round to those who are not lucky enough to be able to spend their Christmas day barbecuing on the beach. Like all of our ecards, Christmas Waves has the facility to amend the text inside it as well as adding your logo and brand to the ecards too. Christmas doesn’t have to be a time of snow filled scenes and holiday decorations and our Christmas Waves business holiday ecards prove this to be true. So why not choose it as your corporate card and send round a spot of sunshine to all your most important contacts and clients.